Captain Cook Charters offers world-class offshore and inshore fishing based on the island of St. Croix in the US Virgin Islands. Captain Cook also offers specialized trips for fly-fishing, spearfishing, snorkeling and other adventures. If you have a trip in mind we can make it happen! Captain Cook Charters targets offshore pelagic fish around St. Croix, USVI such as mahi-mahi, wahoo, tuna and billfish. We also specialize in catching deep water species such as groupers, snapper and swordfish. Inshore and fly fishing available as well. 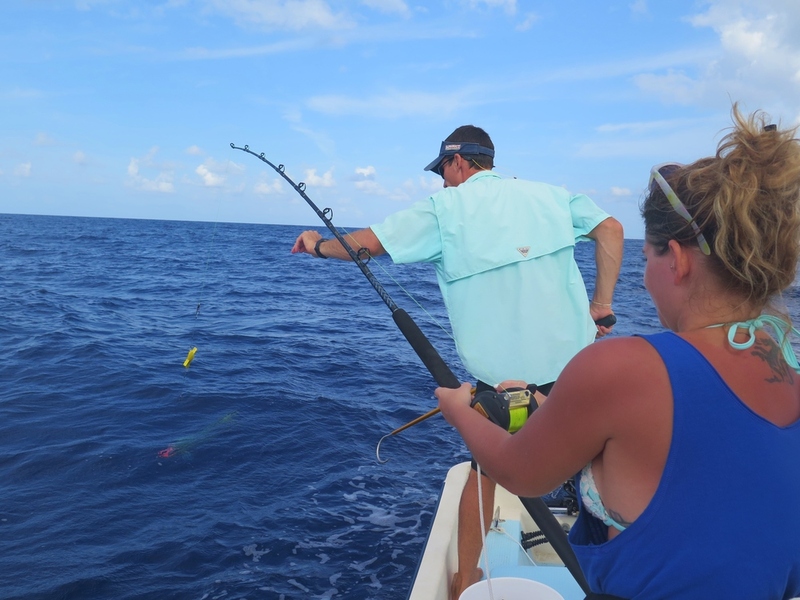 The crew aboard Captain Cook Charters are veteran fishermen who cater to the angler and provide the utmost care when handling the fish to ensure the fish is successfully landed and the customer takes home their catch. Captain Cook Charters also offers professional photo and videography services during the trip. Feel free to leave your cameras at home and allow us to document your St. Croix fishing adventure for you and your family to enjoy.